Converting to Lumion the MMF House to Lumion was among the most engaging articles this year and the starting point for my Lumion review “Visualize at the Speed of Mind” that was published yesterday. I decided to freshen things up a bit here, add some new images like the pool shot you see as the header, and link it to a Talk thread so the discussion can keep on going. Reading this can help set the stage for the review I made. I Lumion 8.0 (and in this case 8.3) for a good spin. 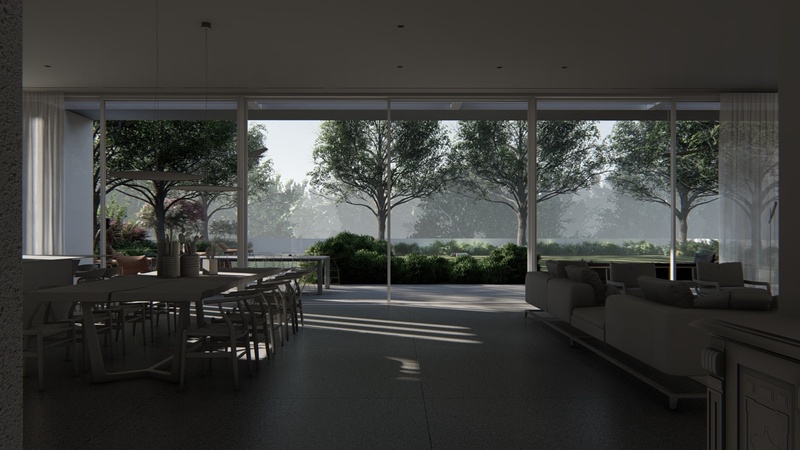 First, using one of the example scenes it comes bundled with and then with the MMF House project we completed at The Craft the usual way with Corona Renderer. This article is more of a log of converting to lumion procees of the MMf House during a work week after hours. Overall time spent on this was probably two working days. I’ll just show the images, without diving into the actual Lumion UI. I’m getting in-depth about it in my “Visualize at the Speed of Mind” – Lumion Review. The Farnsworth House is the first image shown on the Lumion website and it also comes bundled with Lumion 8. My aim was to dive in straight away and see what I can get out of the box. This was done using the Realistic Style preset. Far better than the output in previous versions I tested, but not there yet. I took this image to Photoshop for some adjustments and got this one below. With that in mind and sight, I went back to adjust the preset so I get something similar. Much better! While it is still hard to gauge the final look based on what you see in the viewport, the speed of render compensates for it, and I could get the settings I wanted and save it for reuse. Here are a few more shots from this scene. For that one on the right, I was not happy about the background look & feel as well as how the trees looked. I focused on the tree line and played with the sky, clouds and fog settings to get this image below. After locking this in, I went back to the house and saved this frame and then did some post-production on it too! And as usual… a black and white version! This is a crop I like! 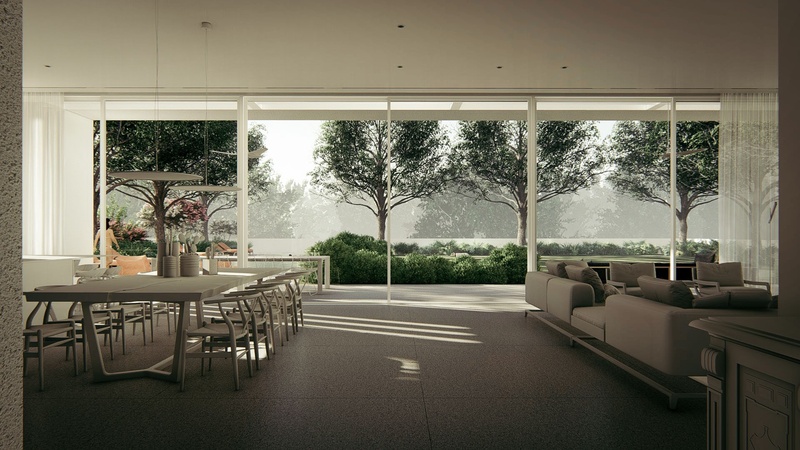 Converting to Lumion – The MMF House Gets new Treatment! The MMF House is a project we finished at The Craft – Architectural Visualization Studio using Corona Renderer and all the usual things. A one-story private house with a large garden and pool, ideal for a spin with Lumion. Below is one image from the original set. First thing was to get the MMF House into an FBX file. Clean model. Just the architecture. The furniture was saved separately to be imported alongside the house. I skipped the vegetation completely as this was going to be done inside Lumion. Below is a quick check render! And then with furniture added. NO MATERIALS! I did not address that issue yet. Jumping a bit further (minutes further), and this is the result of gardening. At this point, I started to explore the water material so I can get a bluish clear pool and also adjust the overall lighting and color. From this point on I just kept exploring view and fine tune the settings of the rendering so things look better in my eyes. Most of you have seen the following images on the Blog’s Facebook Group. 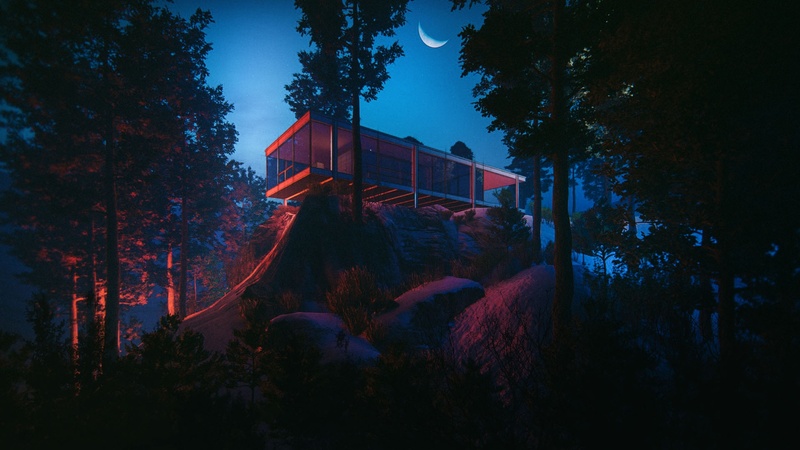 Very good results I think, straight out of Lumion. And you can animate that too! Here is a more complete animation I did a bit later, as I learn about how to set this up. And for the stills, I just had to do some post to get them up to par and style. Here is the HERO image which I did a bit later with some changes… CLAY, RAW and Postwork versions. What do I think about Converting to Lumion? For all else, you should jump to my in-depth Lumion Review – Visualize at the Speed of Mind, in it, I took my initial conclusion from the MMF House exercise to much bigger scope. Let me know in the comments section, ok? Well, I did to some extent 😉 but see those that do show the glass! Could you try to set an interior camera? Would love to see how an interior would look like. What are your experiences? Here is a test. First you must realize that I did not treat the interior other then importing the furniture inside and these came in without materials! First render is as is. Second one is with Hyperlight options to MAX. Third is with GI on at 50 and the last is after a short trip to PS. Super interesting! And nice results. 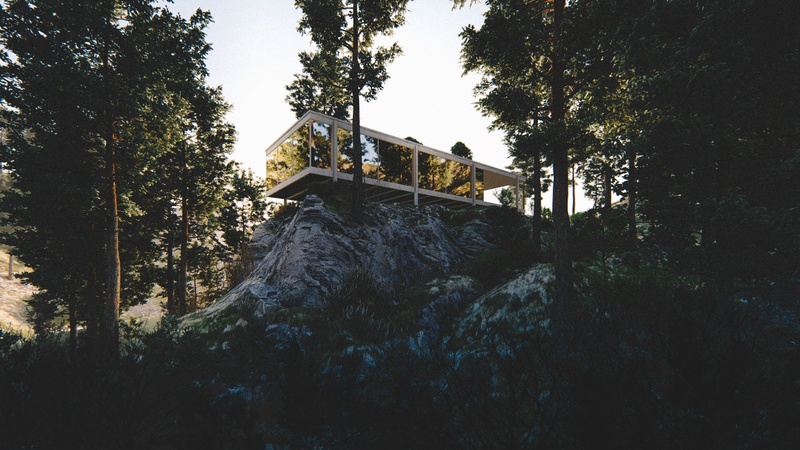 Some images are very grainy – is it possible to have clean renders? Sure! The grainy ones are like that due to me loving to add grain in post. See the RAW images in the post for how clean they come out. That’s interesting …Thanks for sharing ! What was the average time for rendering and what is your rig ? Lumion is definetly becoming something… Did you use the pro or the regular version? Hello Ronen … great study … Congratulations! Really good Ronen, thanks for sharing your thoughts and looking forward to more Lumion! I love Lumion. Its ease of use and intuitive IU and functionality makes this some accessible for people who render efficiently and quickly. Hands down the greatest tool I’ve ever used. 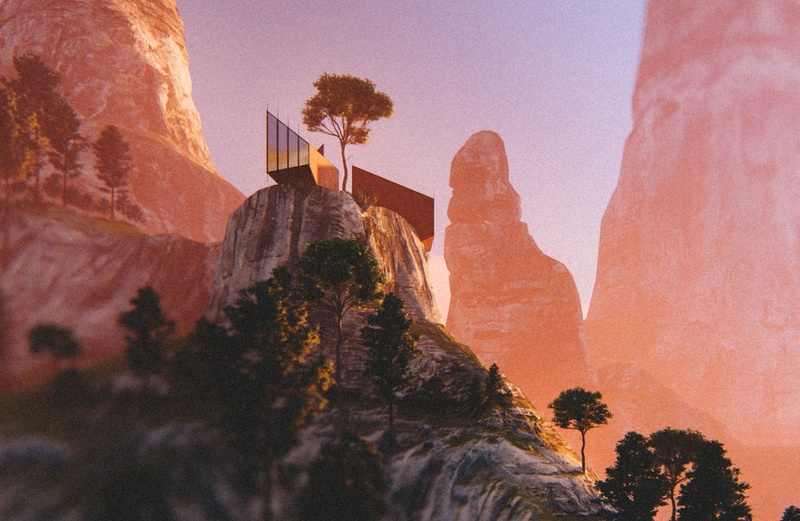 Funny you mention this in a post about me sharing revisiting Lumion after a long time not touching it and how it might be something you all should look at. I have nothing going on with the Lumion company, other than becoming their client recently as we started to use Lumion in the studio. That’s incredible! Your work is always stunning. camera locations/fov from max to lumion and back so background can be swapped to photographs of specific places in postproduction? I don’t see how you can sync cameras from 3dsmax to Lumion. 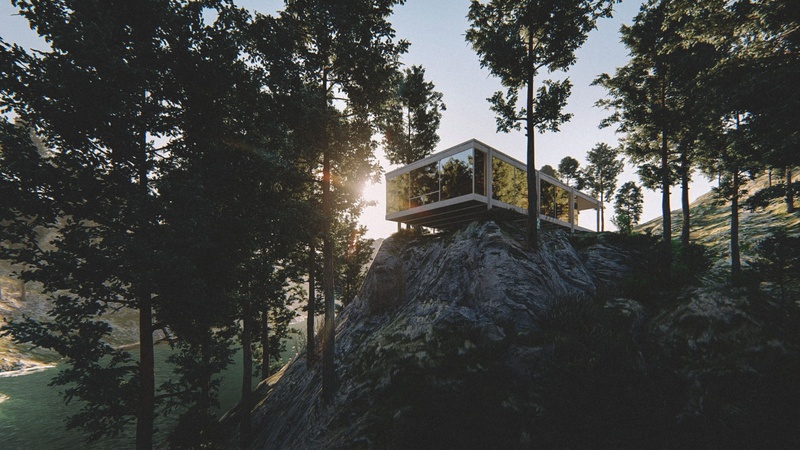 I would assume that once you import the model, all is done in Lumion. You can refresh the model as you update it while keeping materials assignments (it is material name based). Excellent work in Lumion! Never seen anything like it before and your post processing is phenomenal. How can I get my hands on your photoshop files? Do you sell them as reference? No 😉 Not yet anyway. I am still learning and exploring how I can push Lumion to output images and videos the way I like them to be. One more exploration before the weekend! Hi Ronen, What an excellent work ! From what I knew, that Lumion “true” reflection could only be applied up to 10 planar surfaces. It will be a bit challenging to have this “true” reflection on the building with a curve glass facade, since the curve glass will become segmented in Lumion. And we know that the speedray reflection option will not give you the same reflection depth and realism to the reflective surface. Sure we could done something with PS, but I think this will become some limitation if we’re doing the animation.